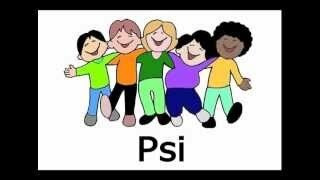 greek alphabet song for children. Learn the Greek alphabet, from alpha to omega. do you know, the name alphabet comes from the two letters of the Greek, alpha and beta. listen the correct pronunciation. excellent video for teachers, parents, and kids. help your child learn letters. Norwegian is a North Germanic language. the basics of the Norwegian language. this an effective video for learning Norwegian. how to introduce yourself in Norwegian. easy phrases. remember, you need to be polite while speaking Norwegian. how do you say in Norwegian: hello my name is Lora, nice to meet you. in this video, you can learn adverbs of frequency. adverbs of time express the constancy of an action. learn rules after watching this tutorial you can understand adverbs of time. this tutorial is very useful for very useful. how do you say in french, now, right away, currently, immediately, then, today, the day before yesterday, always, not yet, sometimes, for a long time, before, after, lately, ago, early, late, later, next, soon. improve your grammar vocabulary adverbs. in this video, you can learn, how to form plural. forming plural nouns in french. you add an -s, like in English. 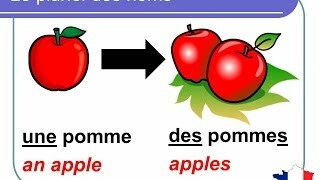 explanation of French plural forms. learn rules and exceptions. how do you say in french: arms, nuts, prices, hair, fires, prams, holes, nails, knees, cabbages, pebbles, jewelry, animals, horses, papers... after watching this tutorial you can understand singular and plural French nouns and adjectives. grammar singular plural. learn vocabulary about profession. in this tutorial there are English subtitles. how do you say in french: what do you do for a living, I am a journalist, when a was younger I wanted to be a journalist, do you like your job, learn french fast. pay attention the correct pronunciation. nice video! learn, vocabulary about household. in this tutorial there are English subtitles. 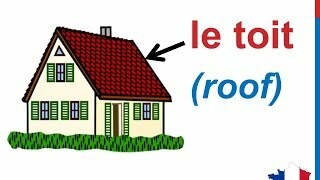 how do you say in french house, rooms of the house, bedroom, bathroom, kitchen, living room, dining room, garage, office, basement, staircase, corridor, ceiling, floor, roof, chimney, yard. learn french fast. pay attention the correct pronunciation. great video! using common words. learn, how to make an appointment on the phone. in this tutorial there are English subtitles. 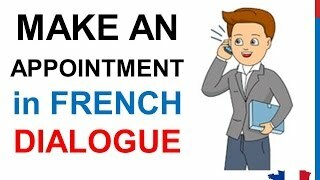 how do you say in french, I would like to make an appointment, how to you spell that, can you schedule the appointment, it is possible to meet him in the morning, see you on Friday, have a nice day... learn french fast. listen the correct pronunciation. dialogue conversation. good video! using frequency words. learn, how to talk about your life. 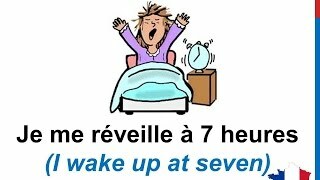 how do you say in french, I wake up every morning, I get dressed, I have breakfast, I brush my teeth, I drive to work, at noon I have lunch, I go back home, I watch TV.... learn french fast. learn the correct pronunciation. basic conversation in French. learn with native speaking teachers. When traveling in France, being polite is very important. have a respectful behavior towards other people. politeness is a French disease. polite forms in french. learn how to say in french, good evening, good afternoon, have a good day, have a good night, please, thank you, thank you very much, you're welcome, the pleasure is mine. learn words and phrases for describe the weather. 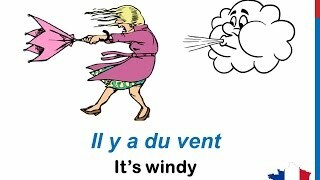 practice french lexicon related to weather. how do you say in french: sky, sun, cloud, wind, fog, rain, snow, hail, storm, how is the weather, it is cold, it is nice out, it is humid, it is a bad weather, it is foggy, it is foggy, it is snowing. basic common expressions phrases temperature. is he going to be sunny tomorrow? excellent video. learn words for parts of the body. practice french lexicon related to the body. how do you say in french: the skin, head, hair, face, forehead, cheek, eyebrow, eyes, nose, mouth, tooth, lips, ear, chin. shoulder, chest, belly, navel, arm, wrist, hand, thigh, leg, knee, toe, foot, neck, back, elbow, nail, finger, heel, ankle, hips, waist. learn new vocabulary. learn french to travel to France. nice video.